Dawud’s curve in his spine was never supposed to get better. His cerebral palsy makes it difficult to walk. Riding not only stabilized his spinal curve, it helped reverse it. He and his parents are overjoyed and his doctors are amazed. Beyond the physical success, he also has found a sport in which he can excel. 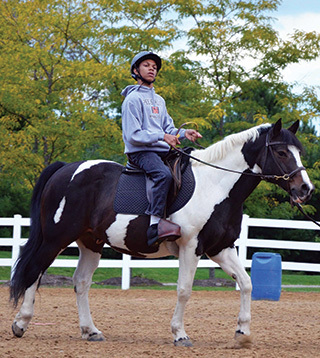 “Riding has definitely been life-changing for Dawud. Before he couldn’t walk by himself and now he can,” Aminah, Dawud’s mother, says.